Sixx Gun Music is a unique boutique of new, used, and vintage gear, parts and full custom shop. Featuring Margasa guitars and amps hand built right here in New England, USA. 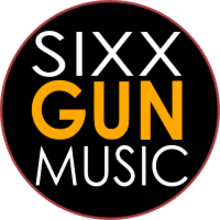 Sixx Gun Music has been selling online for years with success and has a brick and mortar location with a luxurious showroom available by appointment. We have over 10,000 positive feedback online, SGM is a shop you can trust. Contact us with any questions or comments, we're happy to help. We ship within 1-2 days of payment, standard shipping unless expedited requested. We also ship worldwide, contact for quotes.